After releasing the controversial song “F**k Donald Trump,” which includes assassination threats against the Republican presidential frontrunner, rapper YG says he and his recording label are being investigated by the Secret Service. 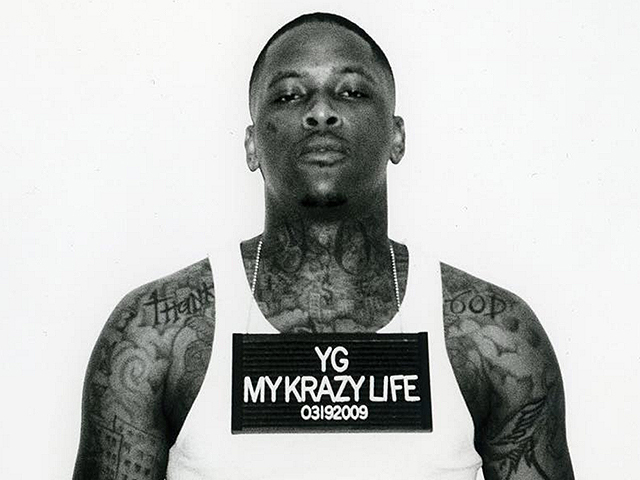 “Secret Service hollering at the label,” YG told TMZ. “They asked to see the lyrics on my album to see if I’m talking about Trump on my album, because if I’m talking about him on my album they’re going to try and take it off the shelves,” YG said. It’s possible that the Secret Service began to take notice of the rapper and his death threat-laced song after he led a crowd of 20,000 of his fans in the collective recitation of “F**K Donald Trump” at the Coachella Music Festival. Or perhaps it was after the April 18 release of the “F**K Donald Trump” music video, which features the rapper warning of riots if Donald Trump is elected president. Either way, YG says his song is not meant to be threatening — it’s intended to motivate young voters.